Regular visitors to the 1EM website will have noticed some big changes recently. As you can see, we have amalgamated our three key sites: 1EM, the E3 Expo and the E3 Business Awards. We did this for a number of reasons, but principally because we felt it would be more user-friendly. Now, everything is ‘under one roof’, so it should be a lot easier to find exactly what you want. For example, you can use the icons at the top of the page to go straight from this news article to the Expo section or the Awards section without having to hop between different domains. It’s also a good way for us to make sure that new visitors understand everything that we offer; to see how our networking events, business awards and Expos all work together to help foster new relationships between North West businesses. Finally, and just as importantly, the new structure adds value for our event sponsors and other stakeholders. We make strenuous efforts to ensure that everyone who supports our events gets a solid return on investment, and part of that is about giving them exposure to the biggest and best possible audience. Now, with all our traffic funnelling through toa single all-encompassing website, sponsors can be confident that their brand will be more widely seen and recognised. 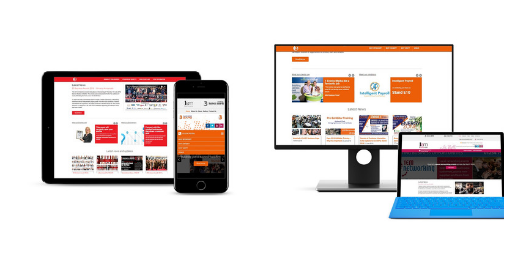 It’s also important to note that the new site is mobile-responsive, so you should be able to navigate it easily whether you’re using a phone, a tablet or a desktop PC. Also, for clarity, please note that all the original domain names still point to the respective sections of the website. So, for example, if you type in www.e3businessawards.co.uk, you’ll be directed to the Awards section, and the same principle applies to www.e3businessexpo.co.uk. From now on, however you arrive here, you’ll always have access to all three elements of the site. We hope you find this a big improvement but we’re always happy to get feedback. If you have any comments or suggestions, please get in touch.